Syria’s envoy to the UN has accused Turkey of supporting terrorist groups and covering for their invasion into Syria. 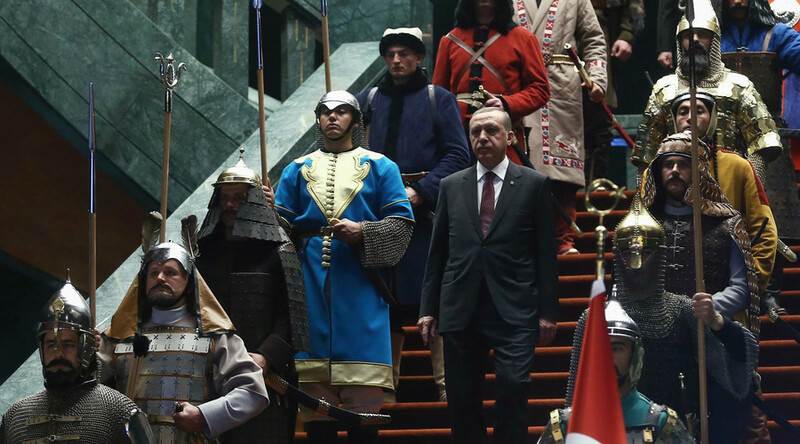 Urging the UN to end Ankara’s “violations and crimes,” Bashar al-Ja’afari also warned that Erdogan’s goal is to “revive” the Ottoman Empire. While mentioning other players allegedly involved in the spread of Islamist terrorism, Ja'afari accused Turkey and President Recep Tayyip Erdogan of playing the most active role. “During the crisis, Turkish interference in Syria's internal affairs took many forms, including direct involvement of the regime of Erdogan, the Turkish armed forces in offensive military operations in support of terrorists,” Ja'afari wrote to UN Secretary-General Ban Ki-moon and the UN Security Council, as cited by RIA Novosti. "Those [Turkish] forces have also provided covering fire for the terrorists' movements inside Syrian territory or along the Syrian-Turkish border, in order to facilitate the infiltration of terrorist mercenaries from Turkish territory into Syrian territory," the letter said. "Erdogan’s accusations that the Russian Air Force violated Turkish airspace as it was supporting the operations of the Syrian Arab Army against armed terrorist groups, and his persistence in making those accusations, are nothing but a futile attempt to create confusion, fabricate facts and cover up his regime's involvement in the smuggling of stolen Syrian oil by ISIL into Turkey and the smuggling of weapons and materiel by Turkey to terrorists in Syria," Ja'afari wrote. "Those refugees have to contend with the even more cruel tyranny and terrorism of gangs that engage in human trafficking with the knowledge and direct involvement of the Erdogan regime's agencies and institutions," Ja’afari said. Appealing to the UN, the Syrian envoy also said it was Erdogan’s intention to revive “the Ottoman colonial legacy.” Ja’afari pointed to the Turkish leader’s statements on protecting people of Turkish descent a few years ago, ignoring the fact that they might be citizens of other countries. Syria has also called on the UN “to take a firm stand” to “put an end to these violations and crimes” committed by Ankara. Ja’afari’s letter was only the latest attempt to draw attention of the international community to Turkey’s alleged support of Islamist militants, including Islamic State (IS, formerly ISIS/ISIL). 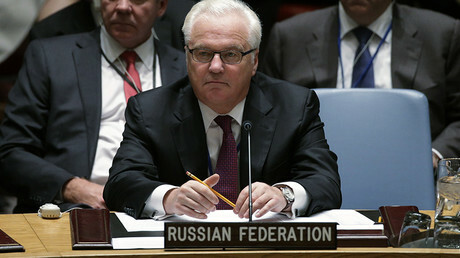 Recently, Russia’s UN envoy Vitaly Churkin said that neither Ankara nor its NATO ally the US informed the UN Security Council of the illegal oil trade with IS terrorists on Turkish territory, despite being bound to do that by a February resolution. Earlier, Moscow directly accused President Erdogan’s family of being complicit in the IS’s oil smuggling. Russia’s Defense Ministry provided satellite imagery and videos showing huge lines of tanker trucks effortlessly crossing the Syrian-Turkish and Iraqi-Turkish borders.